Product prices and availability are accurate as of 2019-04-09 09:48:46 EDT and are subject to change. Any price and availability information displayed on http://www.amazon.com/ at the time of purchase will apply to the purchase of this product. 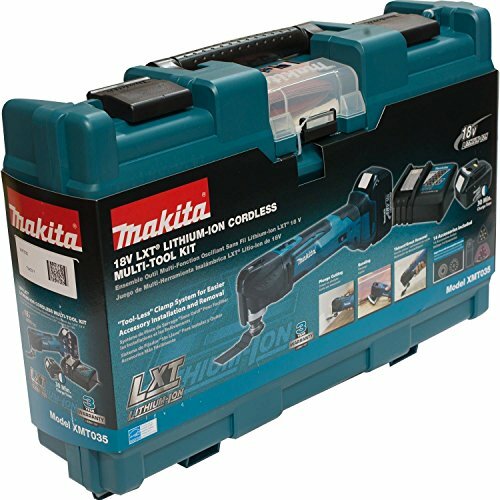 Trades of all kinds are turning to oscillating multi-tools for a range of applications, and the Makita 18V LXT Lithium-Ion Cordless Multi-Tool (model XMT035) delivers corded speed and power without the cord. 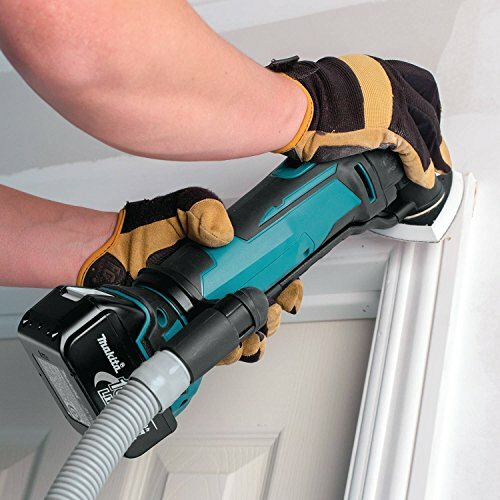 The XMT035 is engineered with additional features like reduced vibration and lower noise for improved performance, and is ideal for cutting, sanding, scraping, grout removal, and more. 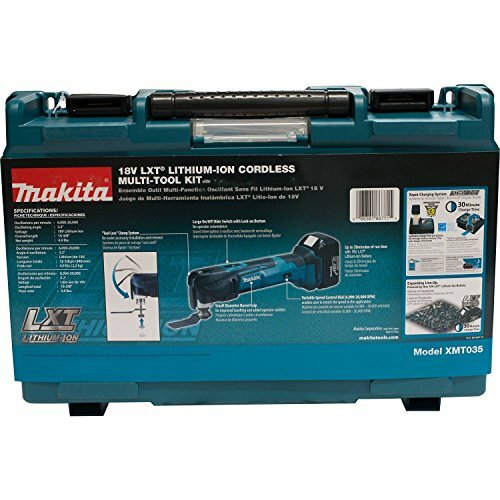 The XMT035 delivers up to 20 minutes of run time with Makita’s fast-charging 18V LXT Lithium-Ion 3.0Ah battery. 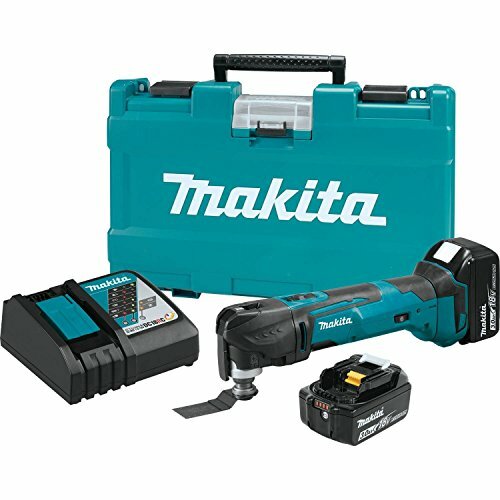 The variable speed control dial (6,000 – 20,000 OPM) and soft start feature enable the user to match the speed to the application with more control, and the 3.2 degree oscillation angle is engineered for faster, more aggressive cutting and sanding. The XMT035 has a small diameter barrel grip for improved handling, a large on/off slide switch with lock-on button, and adapters to fit most competitive accessories. The XMT035 is engineered for a range of applications including cutting, sanding, scraping, grout removal, and more. It is ideal for remodelers, carpenters, plumbers, wood floor installers, and general contractors seeking a best-in-class cordless multi-tool.